BuildTrack has been chosen by Kalpataru for doing home automation in their two projects – Kalpataru Splendour and Harmony located at Pune. Kalpataru Splendour is complex of multi-storeyed towers with spacious 2BHK and 3BHK flats in Pune with a terrace; this place is a tranquil little world in itself. Kalpataru Harmony also includes spacious 2 and 3 BHK Pune property is blend beautifully with the wide open terraces that overlook the landscaped gardens and children’s play area. BuildTrack Remote Control for operating the existing switches to turn the lights On/Off has been installed in both the projects Harmony and Splendor. BuildTrack home automation also includes safety security sensors like Smoke sensor, Gas sensor, Door Intrusion sensor etc. 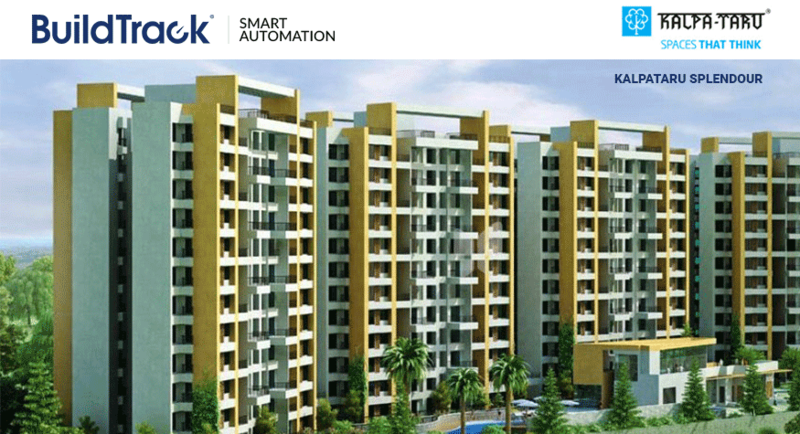 Monitoring of home through smartphone or tablet is also a part BuildTrack automation system.